Nephrogenic Diabetes Insipidus is a medical condition where the kidney produces a large dilute urine volume because the kidney is unable to collect urine and fail to respond to antidiuretic hormones. Both diabetes mellitus, the better known type of diabetes and diabetes insipidus cause large urine volume excretion. 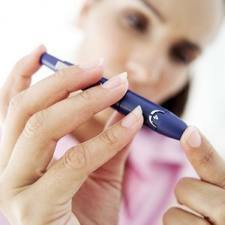 Otherwise, the 2 forms of diabetes are very different. Normally, the kidney adjust the urine concentration based to the needs of the body. 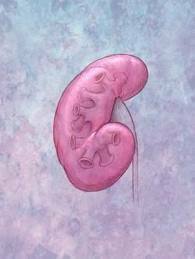 The kidney makes such adjustments in response to the antidiuretic hormone levels in the blood. Antidiuretic hormones, which are secreted by the gland called pituitary, signal the kidney to conserve water and collect the urine. There are 2 forms of diabetes insipidus that exist. In Nephrogenic Diabetes Insipidus, the kidney does not respond to antidiuretic hormones so, it continues to excrete a large dilute urine amount. 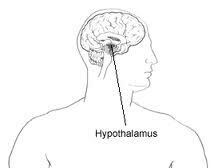 In another form of diabetes insipidus, the pituitary gland fails to secrete antidiuretic hormones. Nephrogenic Diabetes Insipidus can be hereditary. The gene that results in the Nephrogenic Diabetes Insipidus is recessive and carries on the X-chromosome, so, generally men progress symptoms. However, women, who carry the gene may transmit the disorder to their sons. 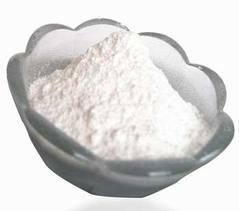 Nephrogenic Diabetes Insipidus may also be caused by the drug lithium (used for treatment of manic-depressive disorder), and other drugs including antibiotic Demeclocycline and Aminoglycoside antibiotics. If the disorder is hereditary, the symptoms generally begin just after birth. The symptoms include Polydipsia (excessive thirst) and the Polyuria (dilute urine large volume excretion). Because an infant cannot communicate thirst, he or she can progress a high fever along with convulsions and vomiting. When nephrogenic diabetes insipidus is not promptly diagnosed, the person’s brain can be damaged, causing the infant to experience permanent mental retardation. 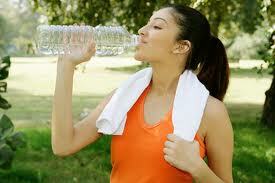 Frequent dehydration episodes may also lead to slow physical developments. However, if treated, an infant with Nephrogenic Diabetes Insipidus seems to develop normally. A doctor suggests the disease based on the symptoms. Laboratory tests show high blood sodium level and extremely dilute the urine. Otherwise, function of kidneys seem normal. The diagnosis of Nephrogenic Diabetes Insipidus is confirmed by response of kidney to antidiuretic hormone by performing water deprivation tests. To prevent dehydration, patients who have Nephrogenic Diabetes Insipidus, should always drink plenty of water as quickly as they become thirsty. Young children and infants should be given fluid frequently. Individuals who drink enough water are not likely to be dehydrated, but a long period of time without drinking water (usually more than 12 hours) may lead to severe dehydration. Specific medications such as non-steroidal anti-inflammatory medications (for instance, Tolmetin or Indomethacin) and thiazide diuretics (for instance, Hydrochlorothiazide) may be helpful.